For a fast, reliable hands-free CD printing, the Primera Bravo 4200 series Autoprinter is for you. 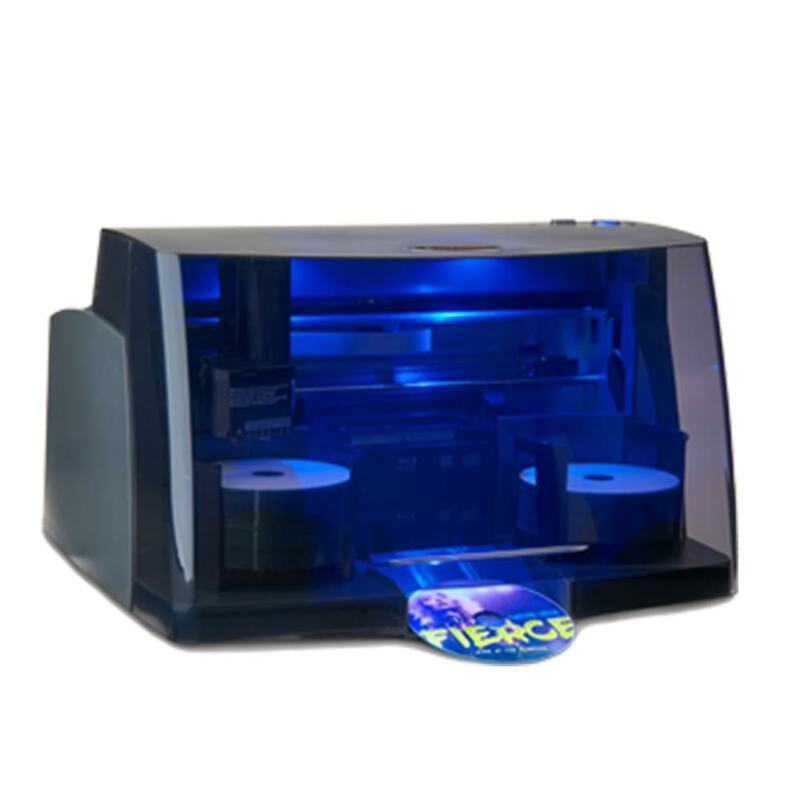 Its 100 disc capacity and built in robotics that automatically feed discs for you make disc printing a breeze. It is a high resolution, high speed full color inkjet CD printer that provides superior print quality at low cost. Print resolution of up to 4800dpi and the Z color profile (included) makes it possible to achieve up to 16.7 million colors. The Primera 4200-Series AutoPrinter is a high-speed high-capacity autoprinter that is invaluable for so many events – from medical imaging and court proceedings to wedding videos and worship services. This reliable high-resolution autoprinter is compatible with Windows 7/8/10+ and Mac OS X 10.7 or higher. Also includes one tri-color ink cartridge and a Kiosk Kit for front dispensing of discs. The Primera Bravo 4200-Series AutoPrinter comes with a one year warranty on parts and labor, optional extended warranties are available. Minimum System Requirements for MAC: 1 GHz Intel processor or higher, capable of running Mac OS X v10.7 or higher, 1GB RAM, one available USB 2.0 port, 10GB or more free hard drive space. For optimal performance use USB 3.0.